will be released in only 24 theatres in one of the three distribution areas of Karnataka, the state’s film chamber said late Wednesday. 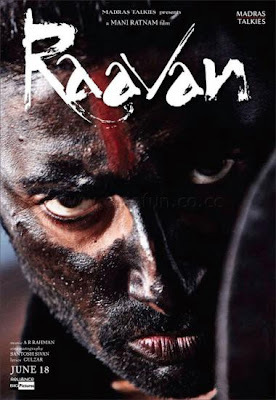 Vasant Kumar Patil, president of Karnataka Film Chamber of Commerce (KFCC), said that “Raavan”, titled “Raavanan” in Tamil, will have a restricted release. “A decision has been taken to follow the existing policy of allowing non-Kannada films in a stipulated number of theatres,” Patil said. The decision will be implemented in old Mysore distribution area, which is primarily the southern part of the state. The decision will not be binding in the other two distribution areas. The release of both the versions is scheduled June 18 by Big Cinemas. Big Cinemas had contended that since “Raavan” and its Tamil version have been made at a huge cost and with different artists in the lead, the chamber should treat it as two different films and allow the release in 48 theatres or more. “‘Raavan’ is a hugely mounted film and we would like to seek some relief from the Karnataka Film Chamber of Commerce to liberalise its policy of restricting the release in a fixed number of theatres in Karnataka,” a letter from Big Cinemas to KFCC had requested. The KFCC does not allow non-Kannada films to screen in more than 24 theatres to protect the Kannada film industry. 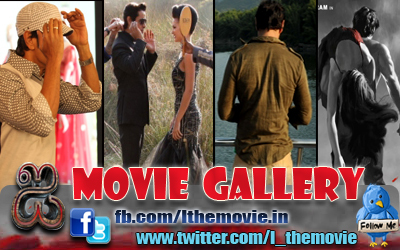 The film stars Abhishek Bachchan, Aishwarya Rai and Tamil actor Vikram.